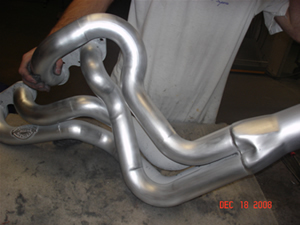 Best Metal, LLC, offers Ceramic Coating, header coating, or exhaust coating for parts such as headers or exhaust pipes which will be exposed to extremely high temperatures. 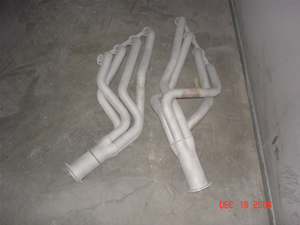 The coating is applied to both the inside and the outside of the part, helping increase the longevity, reduce friction, and protect the part from thermal fatigue, which in turn produces more usable power. Ceramic coating ensures a hard finish which will be both rust and chip resistant. 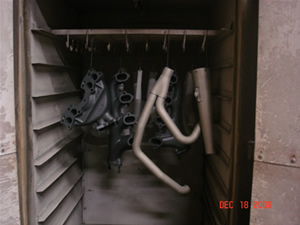 Ceramic coating can be applied over chrome, aluminum, carbon steel, stainless steel or cast iron. 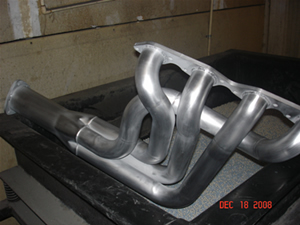 We provide High-Temperature Ceramic Coating for anything from Headers, of all sizes, to complete exhaust systems including mufflers. No job is too big or unique! We offer the highest quality & some of the quickest turn-a-round times in the industry. Contact us today to find out how Best Metal Polishing’s Hi-Temp Ceramic Coating services can help you.